Experiencing the frequent episodes of pain and muscle stiffness at any time in day or night could be very challenging to lead a happy and active life. That’s the actual picture of fibromyalgia. Though, there are tons of medications and other alternative medicines available to manage the fibromyalgia, but, somehow, people can get the fibromyalgia relapse even after a long remission phase. Fibromyalgia has the classical symptoms, including, widespread and diffuse muscular and joint pain. Women are more commonly affected by the fibromyalgia as compared to men, but, on the other end of a spectrum, men and children can be affected by the fibromyalgia. About two to five percent population get the fibromyalgia episode in their life. Living with fibromyalgia is not easier, but just with the help of the several measures, you can improve your overall quality of life. Recently, a campaign has been started named as ‘fibromyalgia is a real illness.We need a cure’ for providing more attention and awareness towards this disease. As it’s difficult to understand the symptoms and its potential triggers, special considerations for this disease should be taken into seriously.Before discussing this petition, let’s explore this disease more! Fibromyalgia is a complex disease. Due to its unique symptoms, this condition is often misdiagnosed. If you’re experiencing most of the symptoms, report the doctor right away. Hence, the list of signs indicating fibromyalgia is long enough and every person feels different symptoms. Fibromyalgia has no cure, but there are several ways to feel better while living with fibromyalgia. What is the hidden reason? Particularly, it has no exact cause, but, one theory suggests that due to the abnormal processing of the signals to the brain, you might feel a number of symptoms. However, several other factors also make your condition worse. Fibromyalgia is also a hereditary disorder. In most of the conditions, your symptoms can become worse due to the physical or emotional triggers. Including injury or infection, operation, the death of a loved one, recent relationship break up, osteoarthritis, lupus, rheumatoid arthritis, ankylosing spondylitis, sleep disorder and temporomandibular disease can cause fibro flare up. In addition to this, some people also reported fibro flare up due to overexertion, allergies and weather changes. If you’ve got a history of widespread pain lasting more than 3 month and tender points, then you would be diagnosed with the fibromyalgia. Having 11 tender points out of 18 is the absolute diagnoses of the fibromyalgia. For ruling out other conditions, your doctor may prescribe you the lab tests for screening the infectious or another disease. What are the approaches to treat the fibromyalgia? Because fibromyalgia doesn’t cause any significant damage, no X-ray scans and blood test can reveal the fibromyalgia. Treating the symptoms is helpful for managing the fibromyalgia. Otherwise, no such cure has been suggested yet. people living with fibromyalgia should know about which triggers can cause fibro flare up and which method will help them most. Many people also have their own set of misconceptions which needs to be cleared out immediately so that they can deal with the condition more proficiently. The aim of giving the medicines is to provide the rapid relief the pain and discomfort. Somehow, medicines are used as an adjunct with other strategies to improve sleep and mood. In the majority of cases, stress is the eventual trigger of fibromyalgia. Hence, it’s crucial to know how to manage the stress. Relaxation technique, assertiveness, and emotional management methods are the tools that can prevent the aggravation of stress. So, if you’re managing the stress efficiently, fibromyalgia won’t disturb your life. The best pill to lift up your mood, improve sleep, and feel contented is the medicine. A gentle exercise program including walking, water-based exercise and tai chi would be a big help. In other words, exercise is the best way to keep you physically and mentally fit. To soothe off your nerves, massage is a paramount in making your muscles less taut and reducing your stress levels. Doing the task in an inappropriate way is detrimental to increase the symptoms. Plan your activities in such a way that you won’t need extra effort to do the task. Try to keep the rest intervals in between the tasks so that you won’t get fatigue episodes. Your food definitely leaves the impact on your fibro status. A well-balanced diet is a key to managing the fibromyalgia. Sugar, caffeine, aspartame-containing foods, and gluten can trigger the flare up. However, some people won’t get any flare up due to food. Fibromyalgia is the chronic disease with no absolute cure, but numerous approaches have been successful in controlling the symptoms. This petition is about the awareness and support which is important for the people with fibromyalgia. Though fibromyalgia affects a person, later on, this person’s family, friends, and co-workers may be affected due to the psychological and physical symptoms of fibromyalgia. 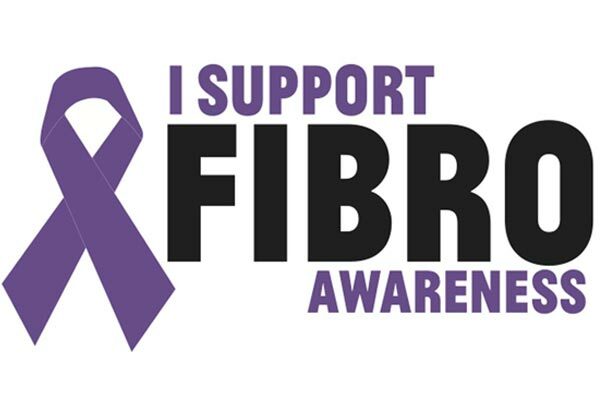 Lack of fibromyalgia education and awareness could lead to the decreased support from your family members and friends. From day-to-day activities to complex tasks, people suffering from fibromyalgia endure chronic and widespread pain. For the medical practitioner to the non-medical person, everyone should know the symptoms and its triggers. Another main issue is the research conducted to develop the cure for fibromyalgia is usually underfunded. The goal of this petition is to bring this issue to the attention of medical authorities and government organizations in each country so that more awareness will be given, more programs on the importance of family’s and friend’s support will be introduced, and more funds for the research to formulate the cure will be provided. This petition is surely worthwhile for every person battling with the fibromyalgia. What spinal cord stimulator do you have? When researchers start to look at pathogens and pathogen overload being one of the main root causes, then there will be progress in some help. Fibromyalgia isn’t 1 specific condition on its own but a multitude of issues such as bacteria, viruses, fungus, vaccines, metals that have worn our systems down. On top of this we’re dealing with chemical overload from food and our environment and supplements like magnesium aren’t being used, let alone properly tested for to begin with. Diet, pathogen detection and treatment and proper supplements can help on top of posture correction and dealing with stress differently. I have fibromyalgia, i started about 7 years ago and times gone on i am finding new pain hot spots arrive all the time. Its like bingo…guess where it will strike next. I am actually back at the GP’s today for a medication review as current meds not working and start a musculoskeletal rehab programme on Friday. Sleep disturbance is horrendous and i constantly feel tired, couple that with regular dibilitating migranes and i am one happy bunny! I agree that there should be a lot of awareness about the disease and how to manage it not just for the sufferers alone but also their family and friends. I was diagnosed at the Mayo Clinic about 6 years ago. After much self research and trial & error, I do feel better now than 6 years ago. For me, learning how to balance activity and rest was the biggest hurdle. You must not overdo it. You must rest a lot. Little exercise, lots of massages, and d-ribose to help energy levels. Epson salt baths also help. I still hurt, but I have changed my attitude. I recognize I have this and it is not going away so I have learned to live with it in the best way I can. I set goals to give me things to look forward to. Best to you! Hi, I love your sight. Tons of valuable information. With that said, I have done Google search after Google search trying to find the seven states that consider Fibro a disability. Do you happen to know specifically what states they are? Ive had fibromyalgia for 20years, every day I’m in pain and I always feel ill, sometimes I have to go to bed about 8oclock as the pain is so bad. People don’t understand and when you say that your in pain every day and even someone touching you is painful, when the pain is bad which it is every day it makes me cry. I’m 55 but feel about 65.